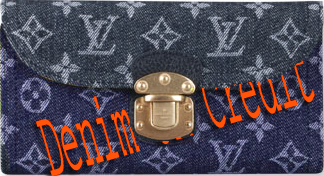 Levi’s Jeans Now On Credit ! Levi’s India has recently launched a pilot promotion programme under which they are selling their Jeans in Bangalore on credit. The $30 +(Rs 1500+) jeans are being sold on a credit of 3 months. And the customer is not charged anything extra for the same. Customer buys the jeans from a store which swaps his/her ICICI Bank credit card. The customers takes away the jeans. He/She is charged $10 every month for three months. Why is Levi’s of selling denim on credit ? The recessionary economy is forcing companies to think of innovative ways to sell . Apparel sales are easily affected in not so good times as these purchases can be easily put off without causing too much self discomfort. Levi’s logic behind the marketing exercise is clear – sell the jeans to those who find it difficult to bring themselves out to spend $ 30+(Rs 1500 & above) on a pair of jeans . It gives a psychological comfort to the customer that he is apportioning his cost to a number of months rather than getting the hit in a single month .. Initial Results and Reactions On This Denim Experiment ? Shumone Chatterjee, MD, Levi’s India, says the success of the programme over the past few weeks has already convinced them of the need to roll it out nationally. ‘‘By this month-end, we hope to rope in several more banks into the scheme,’’ he says. Being a new experiment there is bound to be a lot of doubt around this and some people in the retail industry are doubting its success . However, I am reasonably sure that this scheme will at least not fail . It may or may not be a run away success , but it will surely not fail…. Famous brands always have ,besides their customers, a number of people who are ‘Brand Lovers’ but NOT regular ‘Brand Customers’. They are not regular customers because of the cost of the brand. These ‘Brand Lovers’ may actually be more than the actual customers.However, if any window of oppurtunity arises where they are able to afford the brand, they do not miss it. Getting the branded item on credit may not be actually getting the item at a discount, but it does provide a psychological comfort to the customer that he/she is not spending too much money in too short a time.. Have you seen people buy TV, Furniture etc on credit ? Why do they do it ? Some of them may not be able to afford a one time payment, but many of them have a comfort that they are spreading their costs over a long period of time.Similar logic can be applied to brand also .. I won’t be surprised if this marketing tool is copied by Levi’s offices in other parts of the world. And would you buy a 7 For All Mankind Jeans if you are charged $20/month for next 10 months ?? 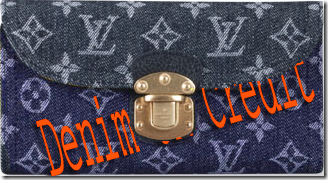 Probably many people would..
Are the Premium Denim Brands listening …? Is Denim In For A Boom Period?